These days, more and more bloggers use wordpress as their blogging platform, and I have seen a lot blogspot users have moved to wordpress. 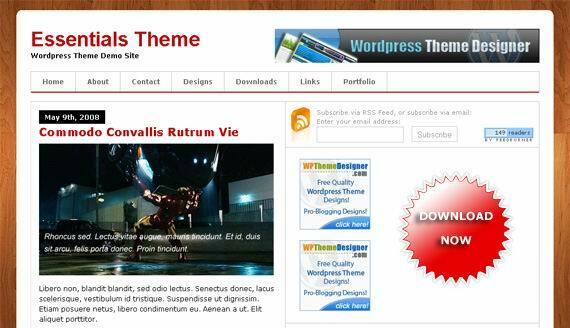 Not only wordpress has a lot useful plug-ins, but also there are many beautiful themes. And a lot webmasters have use wordpress as a CMS system to setup their websites. In order to create professional websites, you need cool professional wordpress themes, this is a must, especially for company websites. The collection of free wordpress magazine templates in this article will allow you to setup your very own magazine style wordpress powered site in a matter of minutes. This theme is a free magazine style two/three column theme that can primarily be used to showcase portfolios for designers, illustrators and artists but can be used equally by photobloggers or virtually anyone else who want to showcase their work as well as write up their thoughts separately. Monochrome is a magazine-style theme for WordPress packaged with an AJAX post slideshow, a custom theme admin page to easily manage and customize Monochrome, author archives, two page templates, multi-tier drop down menus, utilizes custom fields options and a CSS framework to aid in customization. Now that’s a mouth-full. Deadwood is a magazine theme primed for publishers who want multiple entry points to their content in a clean and clear fashion. Deadwood includes nine rotating header images, AJAXed sidebar, five widgetized sidebar areas, author archives and much more. 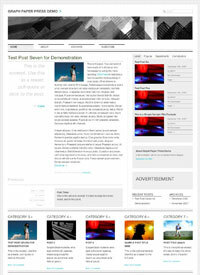 more wordpress themes from graphpaperpress.com, and you can download these free themes. Mag Essentials Theme. 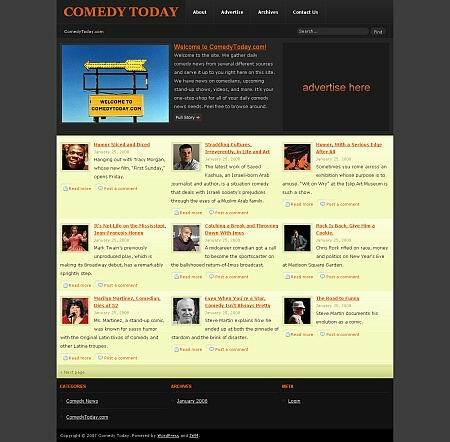 3 Columns, Wide Sidebar, 486 and 125 Banner Ad Integration, widget ready Magazine Style Design. Enjoy! This is a very great magezine style news templates, good for news websites and other article websites. It’s simple and clean. Jello-Wala-Mello is a news / magazine-styled WordPress theme created for multi-media sites. It requires WordPress 2.3 to work properly.This theme uses the optional excerpt and two custom fields: Thumbnail, and Thumbnail Full (case sensitive).The values of Thumbnail and Thumbnail Full should be the addresses of the images attached to each post. Thumbnail is for the small image and Thumbnail Full is for the bigger one. Learn how to use WordPress image uploader and custom fields. This is the BranfordMagazine latest version, a very cool professional template. Previous $100 Google Adwords Promotional Code 2009 Give Away!